Have you noticed that your teeth aren’t as white as they used to be? In group photos with your friends, you can’t stop staring at your not-so-white teeth. You’re going to the dentist, and every time they tell you that your teeth are yellowing. Why is this happening to you? Here are four common reasons why your teeth might be yellowing. What you eat can actually have a huge impact on your teeth, and not just their health. There are certain foods that can cause discoloration in your teeth. Things like coffee, red wine, soda, and even certain fruits and vegetables can yellow your teeth. Tobacco products can darken your teeth over time as well. This one might be obvious, but not taking proper care of your teeth can cause them to yellow. If you are not flossing, brushing, and rinsing on a regular basis, you’re putting yourself at risk for yellow teeth. This has a lot to do with your diet as well, because the staining foods you are consuming are not being cleaned off of your teeth. There are several different types of medications that can cause tooth discoloration. Antibiotics like doxycycline and tetracycline, antihistamines like Benadryl, and antipsychotic medications can all stain your teeth. Even mouthwashes that contain chlorhexidine and cetylpyridinium chloride can cause teeth to yellow. What do you do about yellowing teeth? Going to the dentist for teeth whitening is the best solution. In fact, 82.5% of patients who got their teeth whitened at the dentist said they had a noticeable difference. If you feel like your teeth aren’t as white as you want them to be, visit your family dentist today to talk about getting your teeth whitened. Tooth whitening is an extremely popular dental procedure and one that’s growing in popularity with each passing year. For millions of Americans, having white teeth is a major priority, and even slight yellowing or discoloration can be a source of significant social embarrassment. In fact, 74% of adults believe that their unattractive smile may hurt their career and their future, not to mention their love life. 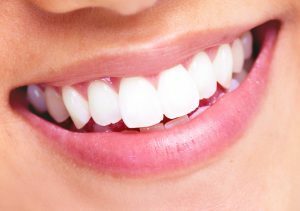 Many people schedule a visit with a cosmetic dentist to take their yellow, aged teeth and turn them into pearly whites. Not only do people go to the dentist to get their teeth transformed, but they also leave with a few suggestions on how one can continue to make their teeth stay white over time. 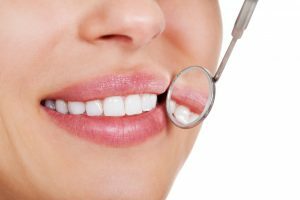 Now, it’s pretty easy to understand the concept of cosmetic dental services like teeth whitening, but there are so many other things to know! Here are three facts that you should know about tooth whitening. Going in for a tooth whitening procedure doesn’t actually damage your teeth at all. Your dentist’s teeth whitening procedure uses safe chemicals to remove any stains from your teeth. Your teeth naturally rehydrate after each session. 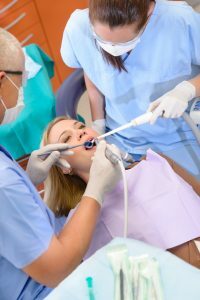 They also remineralize after each procedure, so you don’t have to worry about any lasting damage to your teeth or gums. Sure, one tooth whitening treatment may help to reduce some of the deep stains on your teeth, but just one session won’t fully remove the effect of thousands of cups of coffee. In order to get that perfect shade of white restored, you’re going to need to go back a few times for multiple treatments. However, once the stains are fully gone, it’s super easy to maintain the perfect smile for years to come (and, yes, you can still drink some coffee). Much like your skin, your teeth have pores and absorb any colorful particles that get put into your mouth. For example, if you were to drink red wine, the red color from the wine would settle into your teeth’s pores. This is why you may notice a red tint after drinking a glass of wine. Your natural teeth color will fade and stain over time as you keep eating colored foods and drinking colored drinks. If you are looking to have your teeth whitened, consider these facts before having the procedure performed. Maybe even share them with your dentist! They’ll get a kick out of how much you know! How Often Should You Really Be Going To The Dentist? Around 32% of people say they’re concerned by the look of their teeth, but too many people are forgoing their regular dental visits due to cost, fear, or other priorities. Some people might not even know how often they should be making an appointment with their family dentist. If you can’t remember when you had your last dental exam, that’s a sign it’s been too long. However, this post provides some more specific guidelines to follow when it comes to getting your teeth the professional help they need. In general, twice a year is a good starting point. There’s no perfect recommendation that is appropriate for every single patient. But making a dental exam appointment for every six months is usually a smart estimate. Even if you think you brush and floss thoroughly at home, you’ll still need to keep your bi-annual appointment to get your teeth professionally cleaned and checked to make sure everything is on track. Some patients feel that once per year is sufficient; your dentist may agree if they have no concerns or you have worries about cost. But for children, teens, and the elderly, it’s usually best to stick to the every-six-months schedule. You can help your children form good habits early. Experts recommend that children have their first dental exam six months after their first tooth appears or by the time they turn one year old. Not only can this teach them about the importance of maintaining a clean, healthy smile, but it will also remove the fear component from the process. Because parents are more likely to give their young children juice and sodas, rather than water, these early dental visits are vital for preventing tooth and gum disease. Make sure you schedule and keep their bi-annual appointments, too. Special cases may require more frequent visits. For most healthy adults and children, going to the dentist every six months is appropriate. But in certain circumstances, you may need to make more frequent appointments. If you’ve had recent changes to your dental health (including pain), you should not wait until your bi-annual appointment to speak to your dentist. You may also need to schedule additional visits if you’ve undergone recent procedures (like wisdom tooth removal or dental implantation) or require a crown, braces, or cavity fillings. Finally, if you are a smoker, are pregnant, or have cancer, you may be considered to be in a higher risk category. Be sure to talk to your dentist about their recommendations. For many people, going to the dentist is never going to be a fun-filled activity. But it’s really the best preventative step you can take to ensure your smile stays beautiful and healthy throughout your life. By keeping your bi-monthly appointments (or maintaining another schedule recommended by your dentist), you’ll be making an investment in your body that will benefit you for many years to come. Your smile is the first thing someone notices about you. So, you deserve to have it be as pearly white as possible! 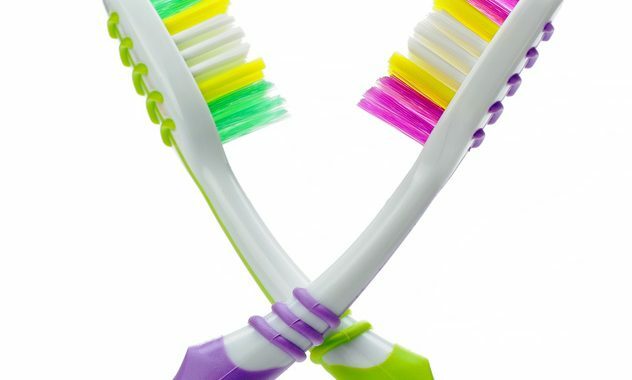 No one wants stained teeth, as this can lead to some pretty serious self-esteem issues. This is where tooth whitening can come in to be the unsung hero of dentistry. Considering that 82.5% of people saw a noticeable difference after having their smile whitened by a dentist, it is safe to say that it is worth the extra effort for this treatment. But what exactly does tooth whitening entail? Here is a beginner’s guide to this dental treatment. Tooth whitening is exactly what it sounds like — it is meant to remove tooth discoloration and stains. However, it is not a one-time procedure and will require some dedication to get to the shade you require. If you have any pre-existing dental conditions, such as cavities or a chipped tooth, they must be taken care of before the whitening procedure. Also, be aware that if you have receding gums, your teeth may look yellow, and there is nothing that a tooth whitening procedure can do to fix it. So, it is always a good idea to fix these problems the best you can before the treatment as the treatment can cause a lot of sensitivity. Generally speaking, there are two different types of tooth whitening procedures. What option you choose depends on whether or not the tooth has nerves (vital) or if it has had a root canal procedure done and doesn’t have any feeling (non-vital whitening). Vital Whitening: This is applied via a gel directly onto the tooth’s surface. It can be done either at home or during a dental exam; it all depends on what power whitening gel can be used. Non-vital Whitening: Since the tooth doesn’t have a nerve, chances are the discoloration is coming from inside the tooth. So your dentist will place a whitening agent inside the teeth and cover them with a temporary crown. You’ll keep this crown on for a few days and repeat the entire process until the desired shade is reached. Make your smile the brightest it has ever been by investing in tooth whitening today. With just a few treatments, you’ll be showing off those pearly whites in no time! It is no secret that a person’s smile is one of the first things others notice about them. However, a healthy smile can get harder and harder to achieve as you get older, because despite how well you take care of them, they don’t always last as long as they should. This is where crowns, bridges, and dental implants come in. 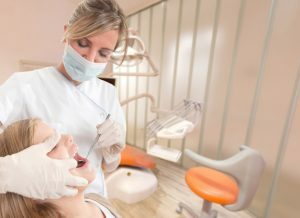 There are plenty of dental services available to make your smile shine the brightest it can, but the problem is many patients refuse to go to the dentist over fear of the unknown. To prevent this, here we explain some commonly asked questions concerning dental implants so you are as educated as possible! Dental implants are fake teeth that come with a small metal anchor that is surgically attached to your jawbone. 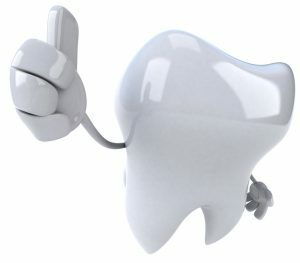 Think of the metal anchor as a substitute for the tooth’s root, and once it is placed the prosthetic will act and function like a normal tooth. Why would someone choose to invest in a dental implant? Dental implants are great because they feel and look like natural teeth. They are actually so popular that 3 million people already have dental implants, and this number is growing at a fast rate of 500,000 per year! The treatment is a three-step process — the dental implant will be placed into your jawbone and as it heals, it will fuse permanently. Once this implant is bonded to the bone, an abutment is placed on top of the dental implant to connect the root to the replacement tooth. Then, a crown, which will be made to look the same color as your natural teeth, will be molded and placed on top. 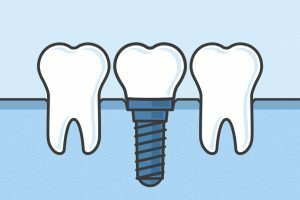 How will I know if a dental implant is right for me? There are a variety of factors that go into determining if you are the right candidate for dental implants. But as a rule of thumb, you should have a fully developed jawbone, healthy gums, and no other medical problems that will hinder the healing process. Want to learn more about dental implants? Contact our doctors today for any and all of your dental services questions! We all know that proper oral hygiene is important from a young age, but it can be easier said than done to get your child to visit the family dentist without being nervous and having a breakdown. Dental care is all too important in children, as children with poor oral health are three times more likely to miss school because of dental pain. So, to make your child’s first dental exam go by as smoothly as possible, here are some tips and tricks to try out. Start brushing from a young age. You want your child to get familiar with oral hygiene from the time their first tooth comes in. Make sure to make it a nightly routine to have your child brush their teeth and for you to check to see if it was done thoroughly. This way the child will get accustomed talking about, touching, and cleaning their teeth. There are plenty of books out there that will help to introduce this somewhat foreign concept to your child. Adding a book about going to the dentist to their stash of books will make their first appointment feel normal! Practice giving your child an exam. Sit your child down in a recliner at home and go through a pretend dental exam with them! Take a pencil and tap their teeth, brush their teeth one by one, and give them some water to gargle and swallow as a means of practice. Don’t mention fear until they do. 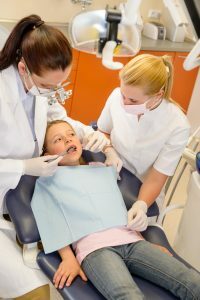 Chances are your child won’t be fearful of the dentist by themselves — they have probably heard their parents or other family members talk about negative dental experiences and have grown scared. So do not mention anything about even the possibility of the exam being scary, and always speak positively so they have nothing to worry about. It is completely normal to go into the exam room with your child and hold their hand if they are scared. Seeing a calm and collected parent will work wonders on a child who is a bit scared! These tips are easy, right? Just remember that practice makes perfect and it may take a few times for your child to get accustomed to a dental exam. If you are in the need of dental services for your family, make sure to contact our Brockport dentists today!